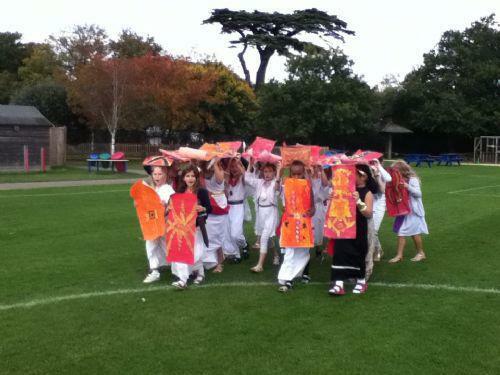 On the 13th of October it was Roman day and we had a lot of fun! 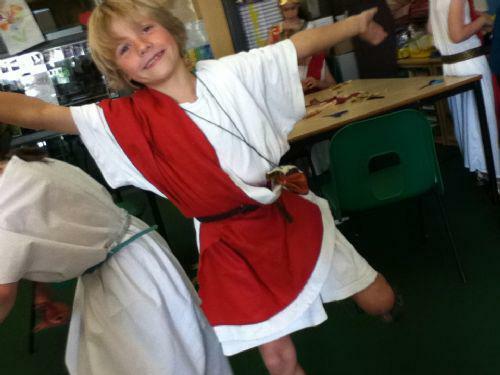 As the day began, there was a buzz of excitement coming from all of the classrooms as we all admired each other’s wonderful costumes. 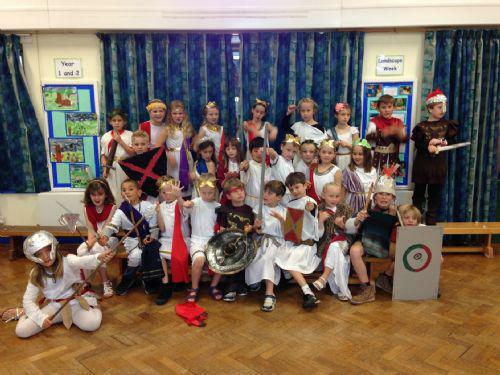 I’m sure you’ll agree we all looked great! After the fashion show in the hall, it was time to start the morning activities. 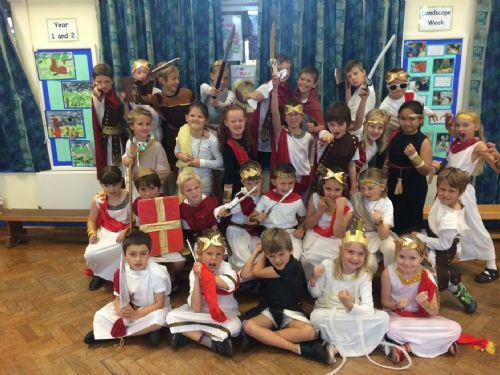 First of all we went to Roman army school (I’m so glad I wasn’t a Roman soldier). 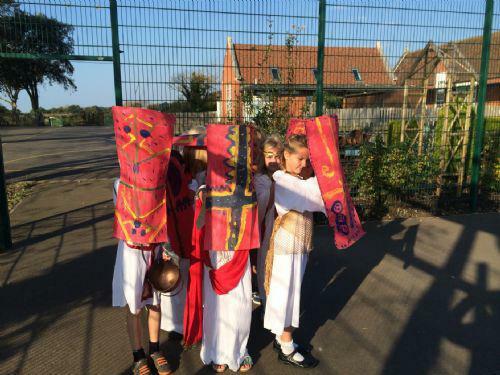 We learnt all about a day in the life of a Roman soldier including, marching in formation, which was extremely tricky, paying for all of our expenses and how to defend and attack. 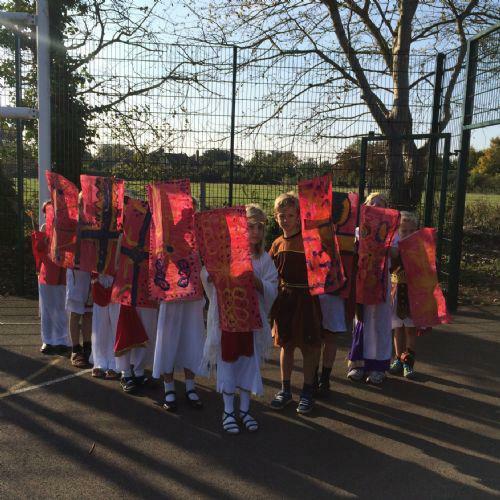 Did you know Roman soldiers had to walk the equivalent of a marathon twice a month with the weight of 20kg on their back?! 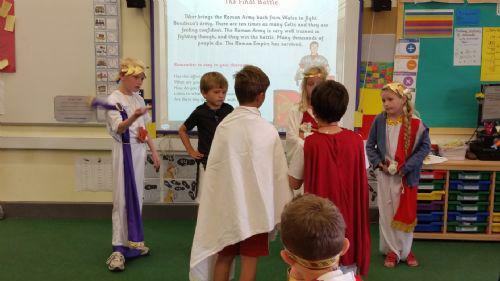 Next we learnt all about Boudicca’s rebellion against the Roman occupation in our drama session. 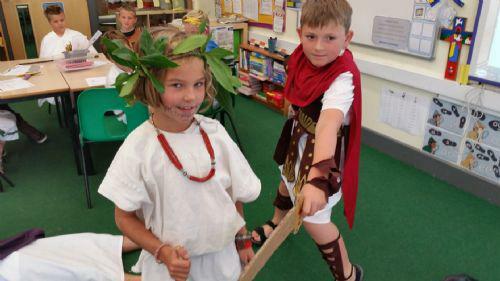 We each took on a new character, such as a trader, a Roman Soldier or a slave and thought about what life would have been like for us living in Roman Britain. 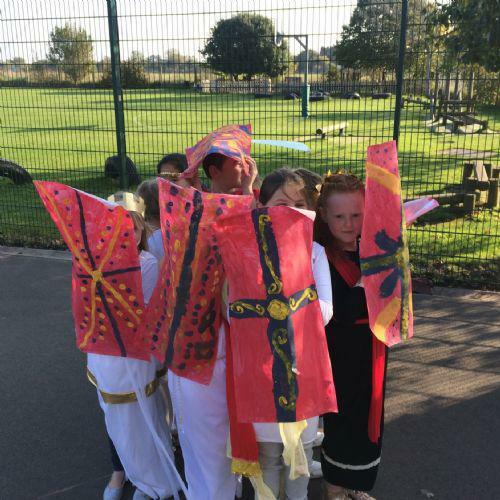 Eventually we found out that although Boudicca’s army had more soldiers than the Romans, ultimately the Romans defeated her because they were better trained and worked as a team. This made us think about the importance of quality over quantity! 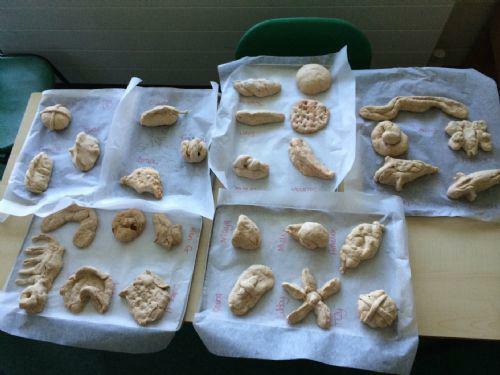 The final activity for the morning was Bulla making. 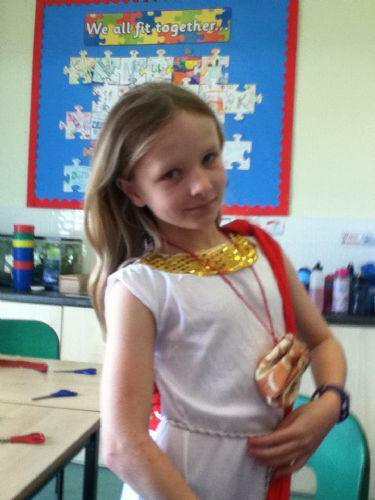 We learnt that a Roman Bulla was a cloth bag that children wore around their necks to keep special things in and protect them from evil spirits. 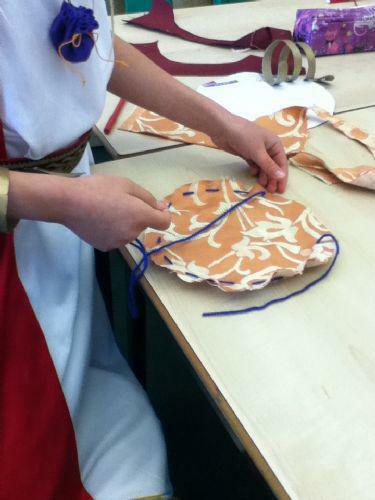 First we had to carefully draw around a cardboard template to create a circular piece of fabric. 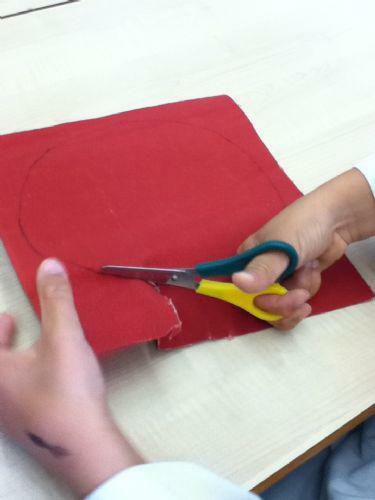 Next, we threaded a needle with wool and did a running stitch around the outside of the circle, making sure to leave some wool at the end. 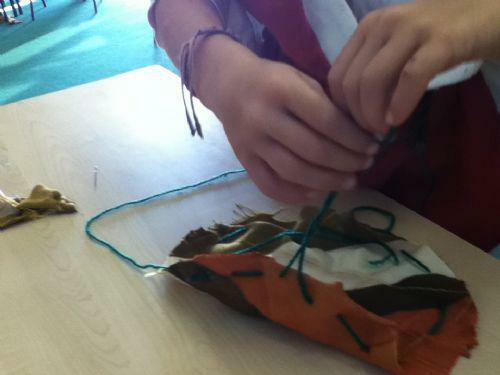 We found that when we pulled the wool tight, the fabric scrunched up to make a pouch! 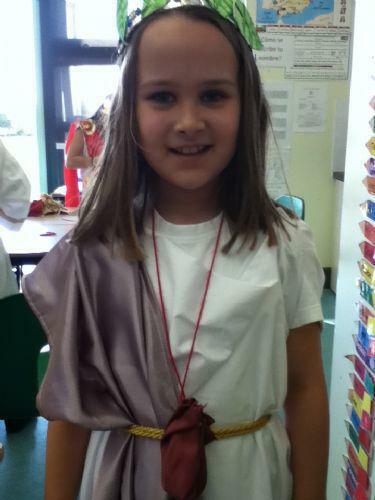 Once we had done that, we attached another large loop of wool so we could wear the bulla around our necks. After all that hard work, we were able to put something special inside them, and voila! Our Bullas were complete! 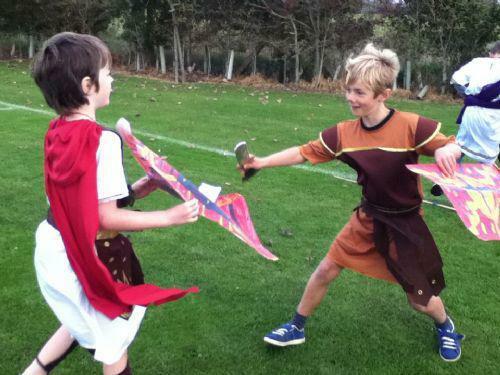 After lunch, we trooped outside on to the field to begin our battle! 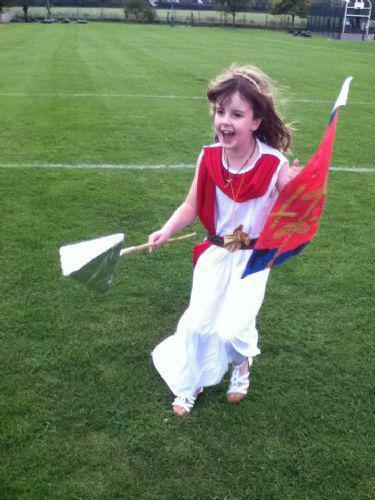 At the bang of the drums, we put everything we’d learnt in Roman Army School into practice, marching proudly around the field. 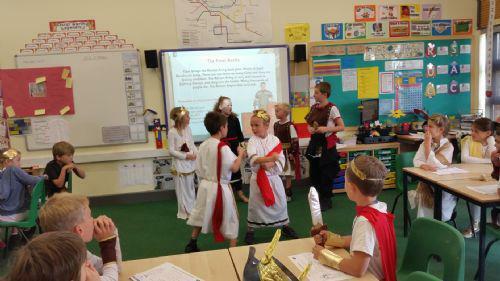 Then we were put into 4 legions which would be competing for the best seats at the feast later on. 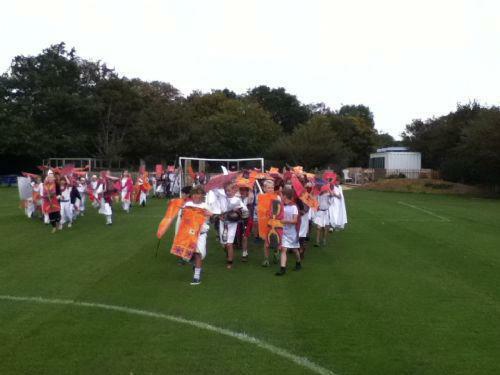 Each legion carefully formed a Testudo and 3…2….1… we raced down the field, making sure our legion was protected on all sides! 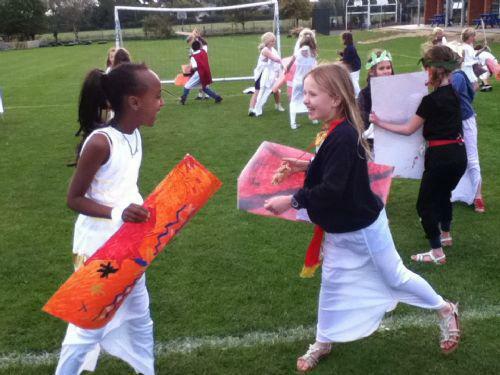 It was a close finish but the Year 3 girls won by a hair’s breadth! 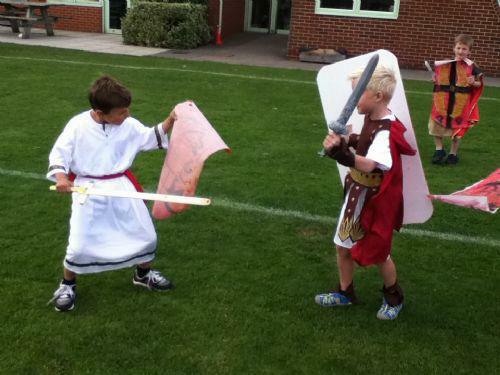 After that, we had a quick 5 minute battle. Luckily for us, next it was the moment we’d all been waiting for….. 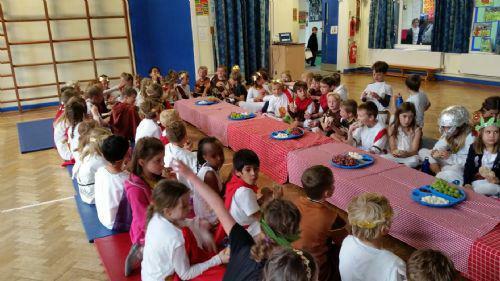 The feast! 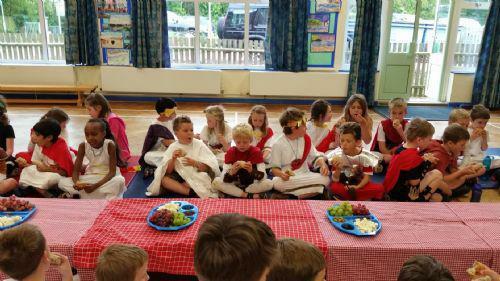 We sat on mats at a long banquet table in the hall, and gorged ourselves on Roman delights such as feta cheese, sundried tomatoes, olives and grapes. 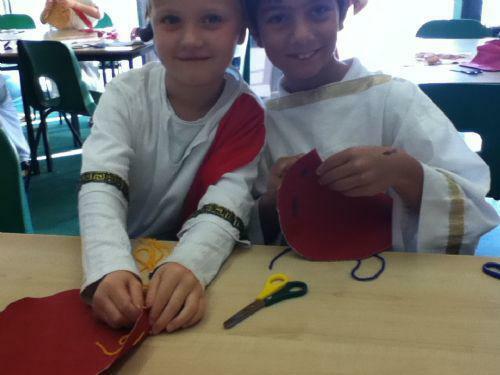 Even better was the Roman Bread that we had made the day before! After that we were very full and extremely sleepy. We’ve never been so grateful to see our grown-ups at the end of the day! 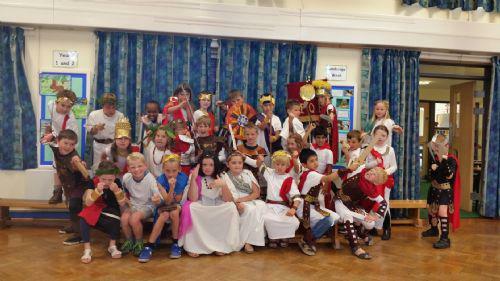 Overall, we had an absolutely fantastic day and wish we could do it again next year!